https://houston.bintheredumpthatusa.com/dumpster-rental-west-university-place	Bin There Dump That Houston	https://houston.bintheredumpthatusa.com/img/franchisees/54.png	20730 Highland Hollow Lane,, Humble, TX	Contact us for more details. Discover how we make renting a dumpster in West University Place, TX a simple and easy process. Bin There Dump That is committed to making the dumpster rental process for the customer a seamless transaction, from placing an order for the needed dumpster size to delivery of the waste container in West University Place to an immediate pick up when you no longer need the bin on your driveway. Named for its proximity to the renowned Rice University, West University Place is now one of the most affluent Houston suburbs. This bedroom community just outside Houston offers some of the area’s most beautiful homes. But that doesn’t mean you don’t want to remodel your own home. 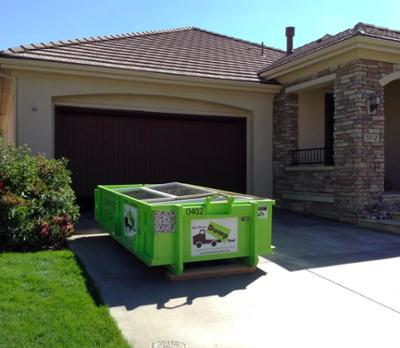 Before you start turning your house into your dream home, be sure you have the best dumpster rental company on your speed dial. Don’t waste your time with dumpster rental services that make you do all the work. We make residential dumpster rental a breeze by hauling everything away for you. The rain garden at Levy Park is a beautiful collection of local plants, fed exclusively by rainwater. The children's play area is a cross between a water park and playground. Climbing spheres, lit tunnels, and a 3-tiered waterfall will keep any kid entertained for hours. We can’t always take our furry friends with us. The Bark Park is a cage-free kennel where your pup will run wild with the other dogs over lush green lawns. All staff are trained in animal CPR and love playing with dogs, so you can rest assured the next time you need to leave Rover behind. The Greenway Trail connects several Houston suburbs with over 30 miles of lush green landscaping. The river is great for kayaking and fishing. You can traverse almost the entire Houston metro area by following the trail throughout each city’s portion. Your local Dumpster Rental West University Place dumpster rental operators are Ivan & Michelle And Tony & Sylvia.